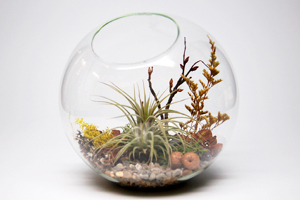 Design your own air plant terrarium with The Garden Home! Learn about air plant biology and how to care for them. 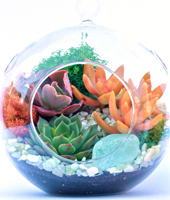 We’ll review a few terrarium models and then jump right into creating your very own terrarium to take home. Get one-on-one coaching with your design. No experience required! Backyard beekeeping? It’s easier than you think! Get ready for all the honey you can dream of when you join Planet Bee Foundation for an hour long introductory workshop, no experience necessary. Through our lively interactive discussion, you’ll learn about the global crisis facing honeybees and begin your journey to change the world, one bee at a time. 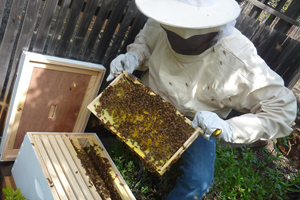 We’ll discuss life inside the beehive, different ways to start a hive, how to maintain it and the costs involved. An observation hive will be on hand for you to gain a more intimate understanding of honeybees, and we’ll have beekeeping equipment available for you to explore. Q & A is highly encouraged! For those who would like to start a hive in the spring, you can order a package of California honeybees at the workshop (bees are picked up at the end of March). All profits from bee sales help support Planet Bee Foundation’s educational programs. Learn how to brew a successful batch of beer at home that you’ll be proud to share with family and friends. You’ll get to taste a number of different beers while we dissect the recipes, tasting the malts and smelling the hops that make up each one. You’ll get the lowdown on the brewing process from grain to glass, brewing, fermenting, and bottling, and learn tricks that will let you leap frog other new homebrewers. We’ll do some demos and go into the science behind the art. You’ll also go away with a breakdown of the equipment you need for a good intro home brewery. 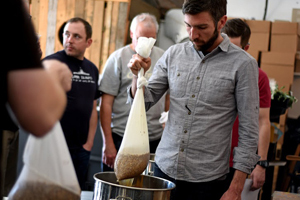 Your instructor Jason Beck of Brew It Yourself SF has been teaching homebrewing for 4 years, and has taught over 400 people how to brew. 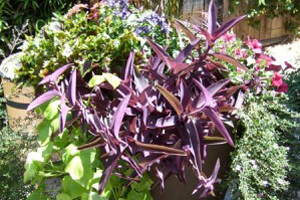 Learn how to have a beautiful, productive container garden all year round. Both practical technique and design tips will be covered. Laurel Nagle is a Master Gardener and the owner of Every Bloomin’ Thing, a container gardening business serving the Peninsula. You don’t need to be a bartender, have a handlebar mustache, or even know what a muddler is to make great cocktails at home. All you need are good ingredients and a few tried and true recipes that are endlessly customizable. 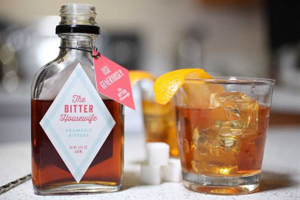 In this workshop, Portland based bitters maker and founder of The Bitter Housewife, Genevieve Brazelton, will explain the importance of bitters in making a better cocktail. Then she will break down a few classic cocktails, showing you how switching up one or two ingredients will give you endless options to create your own. Cocktails should be fun and making them should be easy. The Bitter Housewife will show you how. 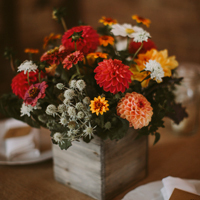 Local florist Eleanor Gerber-Siff will lead students in arranging lush, textural, and bountiful table centerpieces for holiday entertaining. 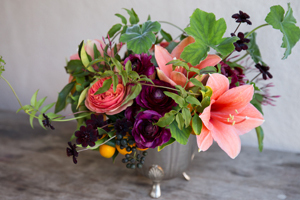 Students will be provided with local flowers and foliage in peak season to create a centerpiece to take home! No experience is necessary. In this workshop, you’ll get your hands dirty while learning about how to design with and care for succulents. Pick from a selection of succulents and make your very own glass orb terrarium, with plenty of demonstrations and hands on help along the way. You’ll practically be a terrarium guru by the time you leave! Supplies will be provided by Sunshine & Succulents. Lecture and demonstration about fermented pickles. 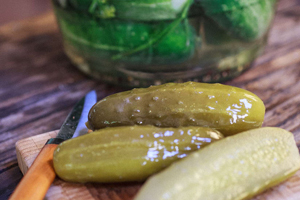 This class will introduce you to the wild world of fermented pickles! With the right knowledge, best ingredients, and proper equipment you can ferment almost any vegetable in to a healthy, delicious treat. 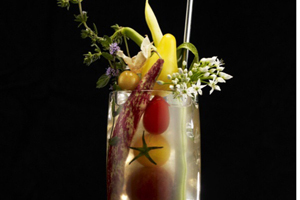 We will demonstrate how to make cucumber, and seasonal vegetable pickles. Let us show you how and inspire you to get creative!We will cover: How to methods, sanitation, equipment selection, tips for success & troubleshooting. sanitation, equipment selection, tips for success & troubleshooting. What does craft beer, artisan wine, and local sustainable produce have in common? DIRT. It all starts with healthy soil. Healthy soil leads to healthy communities. Whether it’s your neighborhood or a community of local chefs, Brewers, and wine makers, the quality of their product is dependent on the health of the soil. 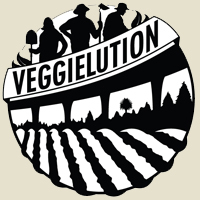 This winter Veggielution’s “Save the Soil” program aims to increase the health of our farm’s soil in the heart of Silicon Valley all while educating the local community about how they can improve the health of their own soil. Join us for a workshop to learn how you can implement your own soil saving tactics in your backyard. 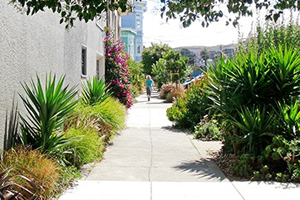 Learn how easy it to to green your local landscape here in SF. 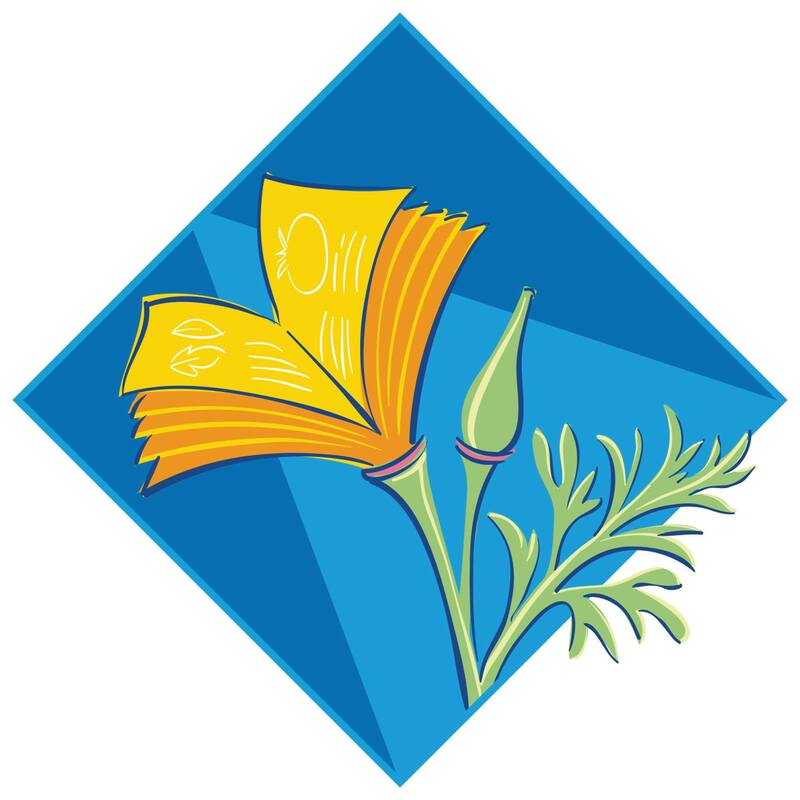 San Francisco Public Works will be presenting about two of their programs, the Street Parks program and the Sidewalk Landscaping permit program, that help residents increase green space and beautify their neighborhoods. Kimchi (the national dish of Korea!) is a traditional fermented side dish made of vegetables with a variety of seasonings. 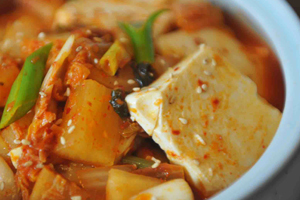 Aruna of Volcano Kimchi will give you a step-by-step demonstration from beginning to final fermentation. She will demonstrate techniques for slicing and brining cabbage, as well as preparation of additional ingredients used in the fermentation. 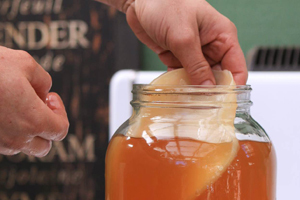 Learn how to make Kombucha, a fermented sweetened tea! Topics will cover acquiring a mother, methods, sanitation, tips for success & troubleshooting. Will include both primary & secondary fermentation. It is not too late! Learn about vegetables that will do well if planted now. 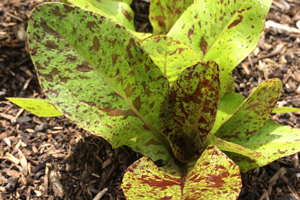 Learn how to recognize fertile soil that will not fail to produce and how to build a simple versatile raised bed using recycled material. Bare root blueberries, strawberries, and raspberries will be available in late January, but now is the time to plan for them. 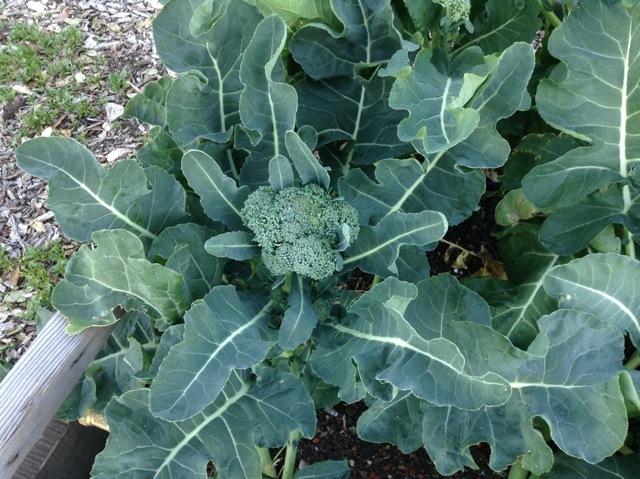 Gaye is a Master Gardener with over 40 years experience growing vegetables in the Bay Area and maintains a year-round vegetable garden which supplies all the produce for her family. Infusing glorious flavors of fresh herbs, fruits & spices into the oils or spirits of your preference has never been considered a quick or easy process – until now! Attendees will learn the art of rapid infusion in this hands on workshop. They will be able to rapidly infuse their own olive oils or spirits with the farm-fresh ingredients of their choice, and then take them home. 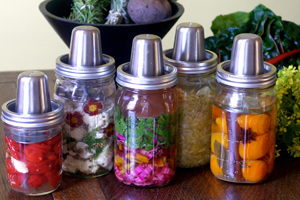 This workshop will provide the audience with the basic steps of how to make sauerkraut and other fermented vegetables and then highlight on exotic, aphrodisiac spices and herbs that can be added for extra ooomph that are sure to elevate your taste buds and your mood! 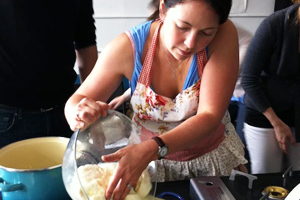 Learn to make two distinct types of cheeses, each in about 10 minutes of active time. We’ll show you how to make two absolutely dreamy cheeses (chevre and ricotta) that are easy enough for the most skeptical beginner but enticing enough for a seasoned kitchen pro. This is not a hands on course. Make and Take DIY Origami box fashioned from FabMo’s fabulous designer wallpapers. These little boxes appeal to everyone and can be created very simply, or elaborately embellished, as desired. FabMo is a local nonprofit that diverts beautiful designer materials from their otherwise destination – the landfill! 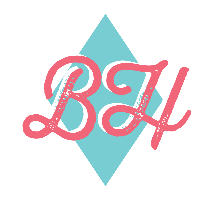 – making them available to all interested people for creative re-use, encouraging sustainable living thereby, annually redirecting 70 tons of high end, exquisite materials to new and useful purposes.